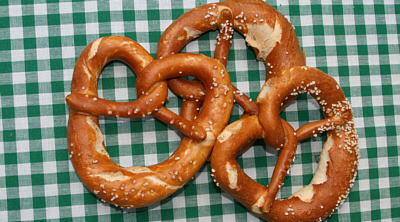 Traditional Austria cuisine contains several sweet dishes, cakes and tarts. These are usually referred to as Mehlspeisen (a 1 to 1 translation would be flour food, not very poetic), and included are sweet main courses, deserts, cakes for coffee or sweet snacks and for sweet-toothed breakfast. To eat a whole cake or devour a freshly baked Guglhupf you need a middle-sized extended family. Therefore we tend to bake smaller cakes, tartelettes, cupcakes and muffins. Muffins are very practical as they can be perfectly gifted, to the woman next door who is living on her own, to colleagues and friends at school. 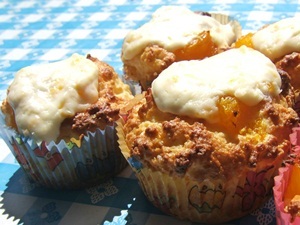 This muffin recipe for mandarin quark muffins is a perfect recipe for betwenn the seasons, as you used caned mandarins which are available throughout the year. 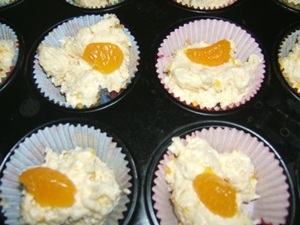 It is an ideal cake for hot days in spring, as quark and mandarins are refreshing. You can of course exchange the mandarins using fruits of the season, and make raspberry-quark muffins or red currant-quark-cupcakes. 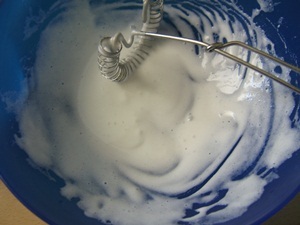 Preheat the oven 175 C.
Mix all the dry ingredients in one bowl, in a second bowl mix all the fluid ingredients: butter, quark, egg. Then add all the dry ingredients, add fruit and use juice of the mandarins if necessary. Fill 12 cupcake liners with the batter. Bake the muffins at 175 C for 20mins. 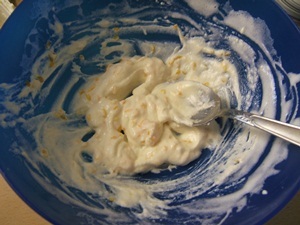 In the meantime beat the egg white with sugar, add quark and mandarines. Use a spoon to top the muffins and put them in the oven for another 5-10mins at 120C. 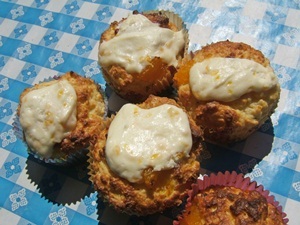 This recipe for muffins is a cake recipe to be used throughout the whole year, as you can used mandarins or tangerins in a tin or use fresh ones. We usually have all the ingredients at home and if we get visitors at short notice or a surprise visit or quickly prepare a desert for a picnic, a trip to one of the lakes. This muffin recipe is not only convincing due to its quick preparation time, but as well its short baking time - and by the way: the quark-egg white topping makes them look a little fancy and is easily made.